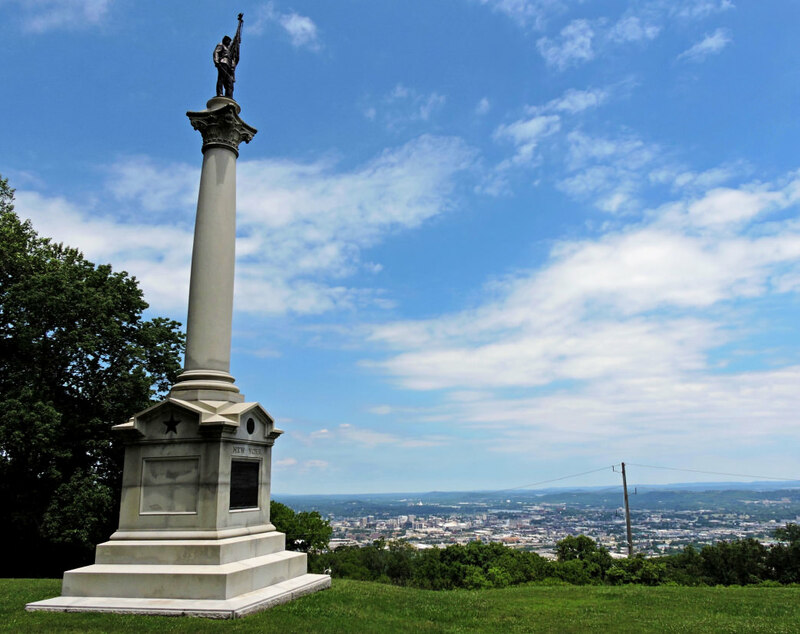 One of the best things to do in Chattanooga, this hike combines Civil War history with natural beauty. Ah Gum Springs. The bane of the trail runner. This steep trail is technical and well-maintained, but it packs a mean punch. With the exception of a 100-yard section half-way up, the 0.6 miles to Bluff Trail are straight up, and believe us, you’ll be panting heavily by the time you reach the top. Your quads and lungs will scream, so take it at a pace that feels comfortable to you. Your reward? 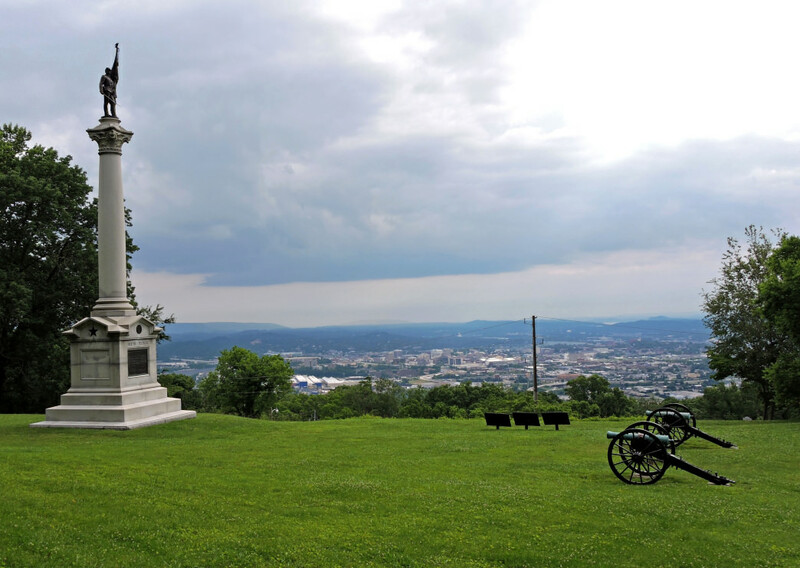 The Bluff Trail is, for some, the most beautiful trail in Chattanooga, and by taking this route, you can bask in the good feeling of a well-earned panorama. The views from Bluff Trail are spectacular, and you may even see groups of climbers. If you want to reach the summit, you can punch all the way to the top of Sunset Rock. 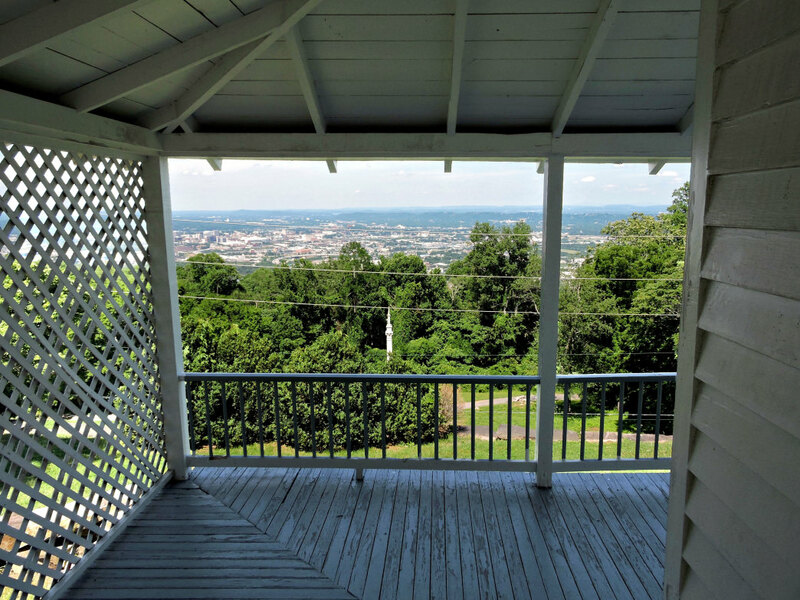 Starting from the historical Cravens House, which overlooks Chattanooga from half-way up Lookout Mountain, hikers and runners can enjoy making their way to the Bluff Trail and Sunset Rock. If appetite exists, options abound. 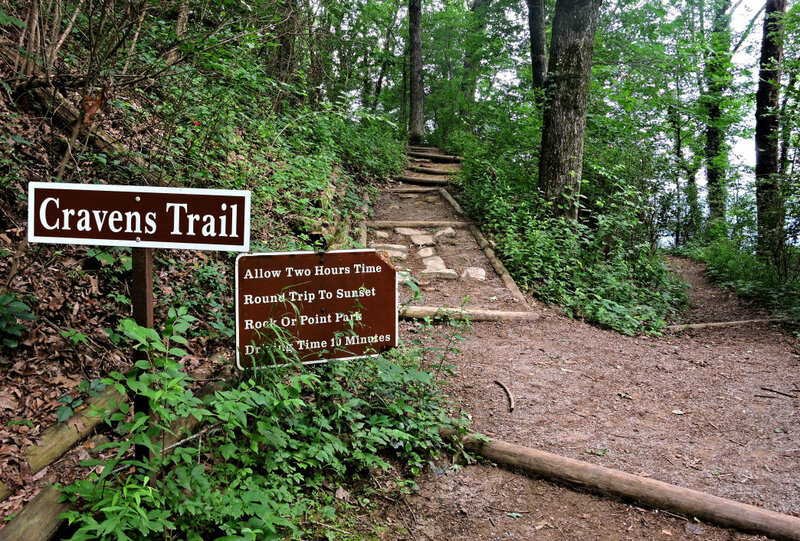 We recommend the following loop to bag 4 classic Chattanooga trails for the price of one. 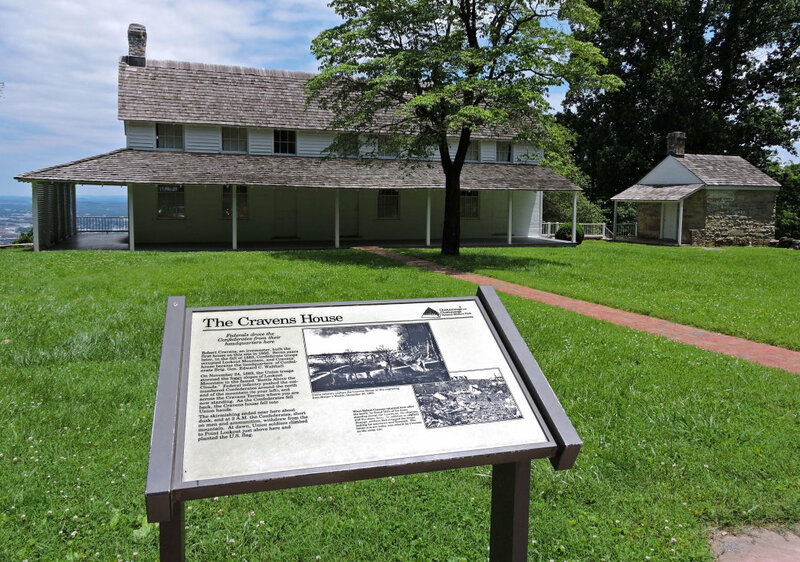 Starting at Craven’s House, begin on the Cravens Trail. About 100 yards in, the trail splits. To the left is a .7 mile hike to the Bluff Trail. To the right is the Rifle Pits Trail. 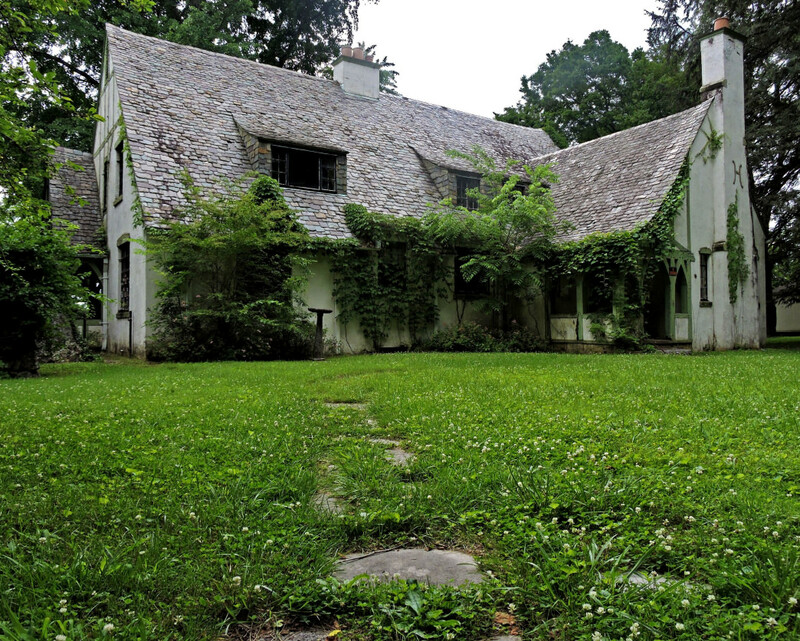 Head to the right for a nice meander through small rock gardens and dense forest. As the leaves have fallen, you’ll enjoy views of the Tennessee River and Moccasin Bend. You’re walking through history. 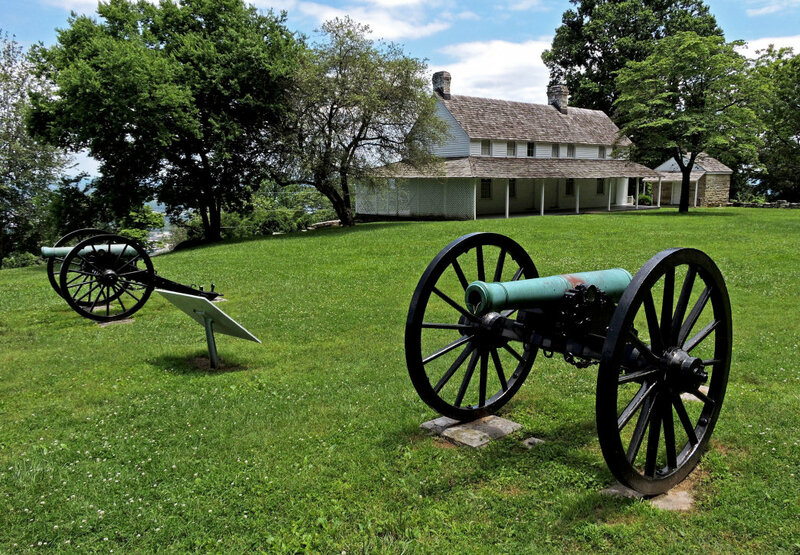 In late November of 1863, union troops charged up this western flank of the mountain to dislodge confederate riflemen who had dug trenches and rifle pits (hence the trail’s name) to hold off the oncoming assault. The final 0.1 mile of Rifle Pits is a steep and technical descent, and with heavy leaf coverage, we recommend that hikers carry walking sticks and take this section gingerly. After about .7 of a mile, the trail intersects the Guild Hardy Trail. Turn left and keep hiking south.The Guild Hardy is an old rail-road bed, and its gravel double-track makes hiking easy for families and hikers of all ages and ability. For less than a mile, Guild Hardy wraps along the flank of Lookout, before reaching the intersection with the Gum Springs Trail. When you reach Bluff Trail from Gum Springs, turn left. If you go right, you can hike all the way to Covenant College and beyond. But by turning left, you’re heading back toward your car. Sunset Rock to the intersection with the Cravens Trail (your final stretch) is about a mile, and what a mile it is! This is what Chattanooga hiking is all about. To your right are the sandstone cliff bands that wrap around Lookout Mountain for fifty miles from the mountain’s point, all the way into North Alabama. To your left is a wide-sweeping view layered to the horizon with the ridge-lines of southern Appalachia, including Raccoon Mountain, Elder Mountain, and Walden’s Ridge. One Chattanooga climberhas described the rock faces along which the trail winds as being as grand as Europe’s cathedrals, and it’s no exaggeration. After a mile, the trail reaches an intersection, marked by signs and a trail map kiosk. The trail that splits to the right leads to Point Park, and is a must-hike at some point. The trail that splits to the left is the Cravens Trail, a 0.7 mile descent to the Cravens House and your starting point. Many trail runners in the area view this fast, technical descent as one of the most exciting in the area. For hikers and families, take the upper sections cautiously. For about 0.4 miles the trail is technical with loose rocks that make footing precarious. When you reach the Cravens House, you will have hiked about 4.5 miles, and covered 4 short, but classic Chattanooga trails. Hikers and trail runners looking for a quick hike or run before or after work will love this loop. 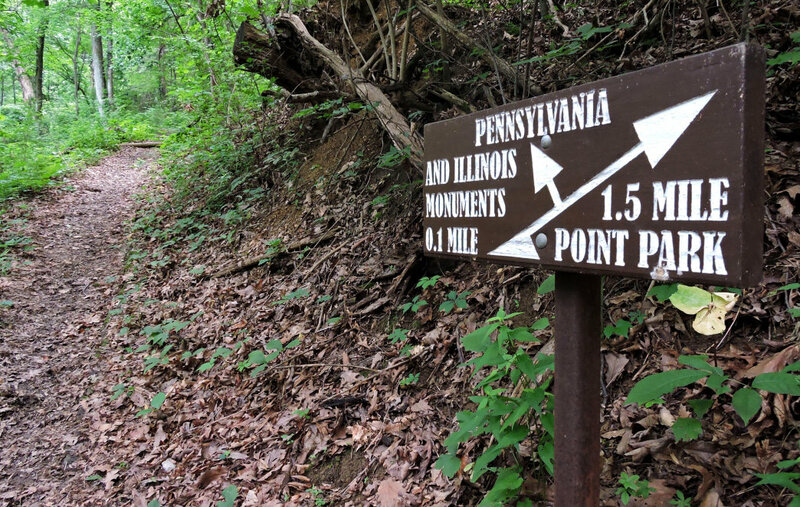 So too will families looking to experience the beauty of Lookout Mountain on a quick day hike followed by lunch, although for small children, the climb up Gum Springs may be challenging. This is also an excellent hike for couples, as its proximity to downtown, short length and duration, and provision of panoramic views make it perfect for a Sunset date. The large parking lot at the Cravens House is free, but the park closes at dusk, and if you're caught hiking or running after sunset, your car could be locked into the parking lot for the night. 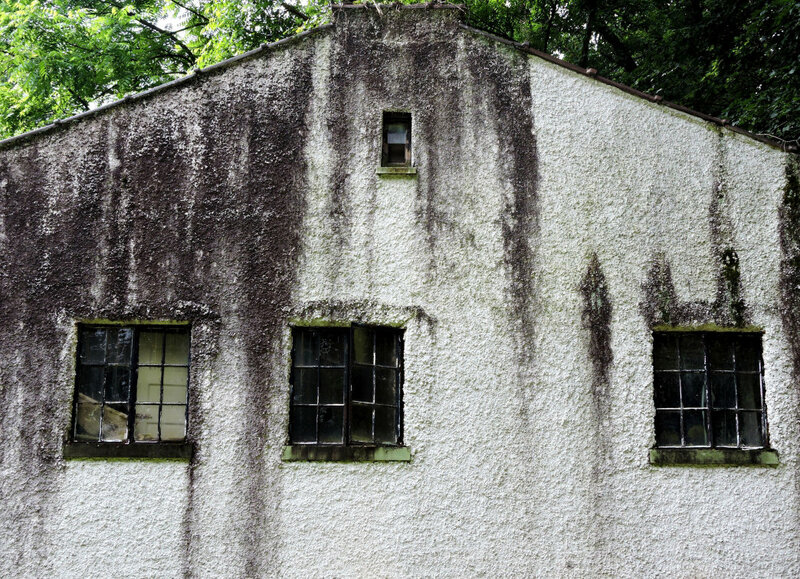 Fortunately, there's overflow parking on the narrow road just below the Cravens House, which is not gated. The trailhead is well marked with a map of all of Lookout Mountain's trail systems, and the trails themselves are also fairly well marked at each trail intersection.